For some people who may have thought that Barack Obama was not serious in doing what is necessary to fix the ailing economy, maybe they may be able to believe it now. With still about 2 months prior to his inauguration day, President-Elect Barack Obama is already getting deeply engrained in one of his top priorities when becoming President. He has just announced that he is going to create a new economic recovery board to provide a "fresh perspective" for his administration.The new board of economic experts, will be headed by Paul Volcker, a previous chairman of the Federal Reserve for 8 years serving under Presidents Carter and Reagan. Their main purpose in life will be to advise President Obama on how to revive the ailing economy. Named as chief economist on the board is Austan Goolsbe. One of the things that Obama has pledged just yesterday was to go through the federal budget "page by page, line by line" to eliminate excessive spending and get the economy back on track. His selected team has already started working on crafting an economic recovery plan. 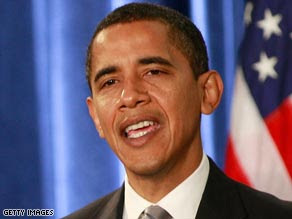 An economic stimulus package is central to Obama's plan. He declined Monday to speculate on how big the stimulus would need to be, saying, "We are goin to do what's required to jolt this economy back into shape." As Obama fills out his cabinet, several officials close to the transition tell CNN that Defense Secretary Robert Gates is expected to stay on the job for at least the first year of the new administration.